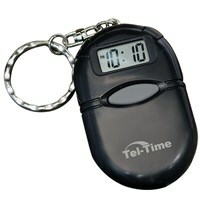 This Talking Alarm Day Clock has unique functions that help those with memory loss, Dementia, Alzheimer's, seniors, low vision or blindness. 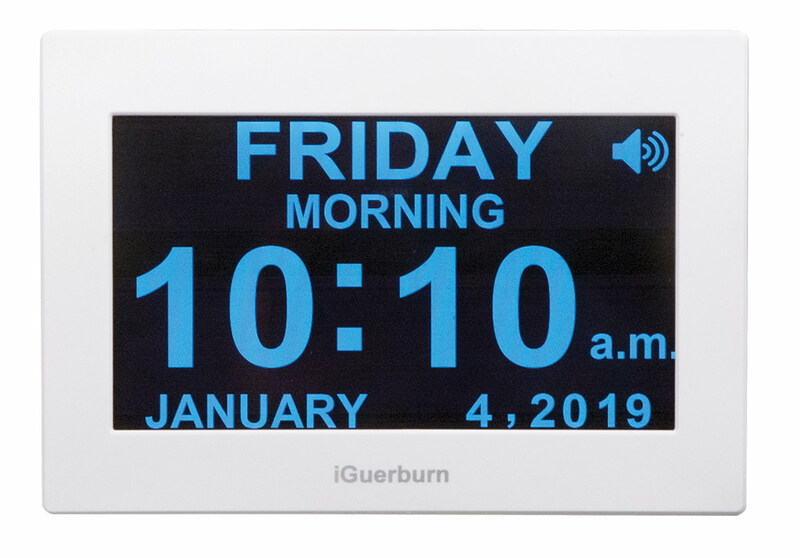 Touchscreen talking calendar day clock can be customized with 8 different alarm settings in 6 different languages. Has 2 display modes and adjustable brightness and volume. 4 background colors (blue, red, white or black) and fonts. 12 or 24-hour settings. Audible time, day, week, month. Internal battery backup to keep current time and date if there's a power outage. 5V 1A adapter U.S. plug. 1-year manufacturer's warranty. Measures 8.7 x 6 x 1.4 in. Weight: 1.76 lbs. Patented protected unique design. Can be used as a digital photo frame that plays photos in slideshow format from a memory card (SD, MS, or MMC) or a USB flash drive. Includes Digital Clock, Manual, AC Adapter, Stand.